This comment may get some eye-rolling from the skeptics, but I’ve found that tarot and oracle cards get more accurate the more you listen to them and act on their advice. The universe is like your mother: if you don’t listen, she won’t stop dispensing advice, but if you DO listen, she’ll be happy to say much, much more. I have found that some very interesting things happen when I treat my card pulls like spiritual GPS, on those occasions when I follow their advice as closely as I do the directions I get from Google Maps. 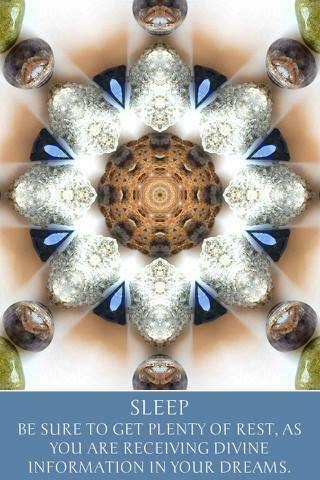 A few days ago, I downloaded Ashley Snow’s Intuitive Mandalas app (made by Indie Goes) onto my phone. At the time, I was feeling very tired in the middle of the day and contemplated a nap–though I always feel guilty about napping when I could be working. I asked the Intuitive Mandala app for advice, and got this card: Sleep. So, I did. This morning (several days later–no, I didn’t sleep for days like Sleeping Beauty! several normal days intervened), I still felt unusually tired. 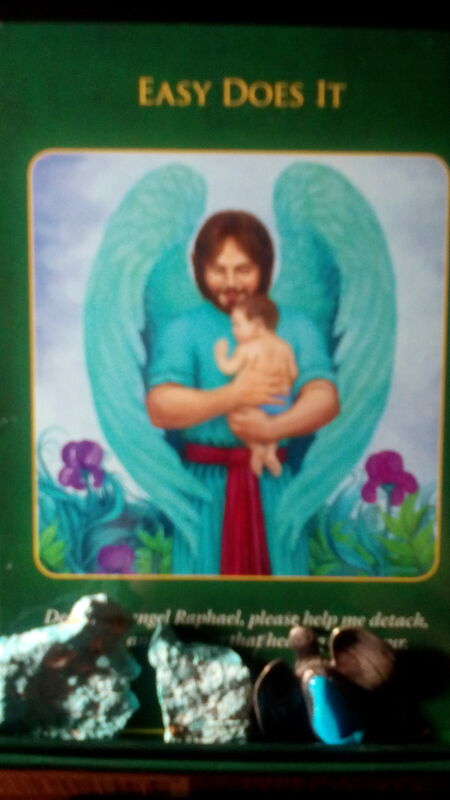 I pulled out a deck that I thought I had retired: Doreen Virtue’s Archangel Raphael’s Healing Oracle Cards. Shuffled and pulled: Easy Does It. Maybe this is a good time to mention that my daughter has been home all week from school with a sore throat and a bad cold. This evening, I went from thinking I was fine, to rapidly increasing cold symptoms, within about five minutes. Sore throat? check. Seemingly on fire between one moment and the next. Sniffles? Check. WTF? Check. Situation: The Empress. Confirmation that I am a mother and this came from my child. 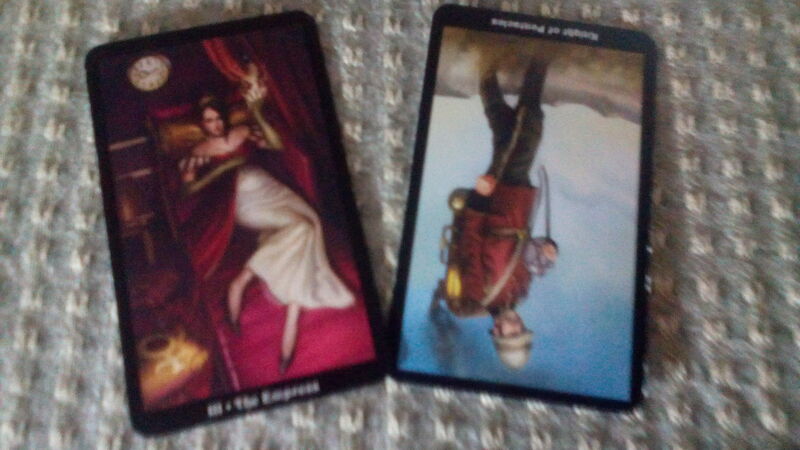 Plus a little added layer of “rest, please,” since in the Steampunk Tarot the Empress is reclining regally on a bed. Advice: reversed Knight of Pentacles. How about stop working for right now? In case I hadn’t figured out that that’s what rest means!